Definition of balanced growth: Balanced growth refers to a specific type of economic growth that is sustainable in the long term. It is sustainable in terms of low inflation, the environment and balanced between different sectors of the economy such as exports and retail spending. Balanced growth is the opposite of volatile boom and bust economic cycles. Low inflation. High inflationary growth causes increased uncertainty and volatility and can discourage investment. Inflationary growth often leads to recession as the government seek to control inflation. Balanced between different sectors of the economy e.g. both export and domestic consumption should be part of growth. If growth is just financed by consumer spending and imports – this causes a current account deficit and an imbalance. Balance between consumption and investment. eg. growth in UK and US has often been focused on consumer spending leading to low savings ratios and high current account deficits. Low investment has implications for the long-term productive capacity. Concern for the environment. Balanced growth should use mix of renewable resources as well as non renewable growth. If growth is focused on the use of non-renewable resources, then it became less sustainable in the long-term. Sustainable debt levels. If growth is financed by unsustainable debt, then it is always at risk from debt-deleveraging – a period where firms and consumers seek to pay back debt. For example, between 2002-2006, the US economy saw an increase in subprime mortgages – with households buying a house and relying on low-interest rates. When interest rates rose, households defaulted, banks lost money and it led to a credit crunch. 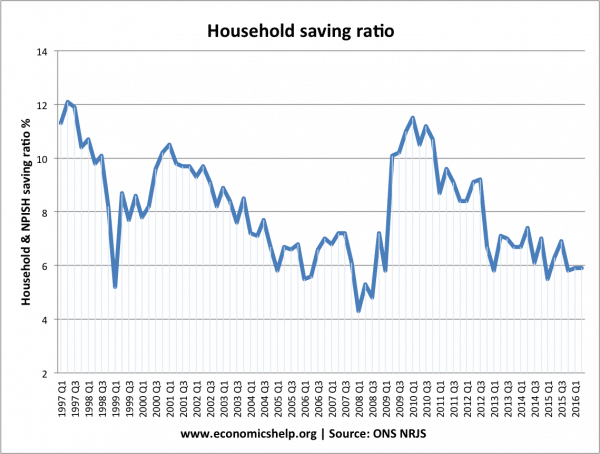 The fall in the savings ratio to 4% in 2008, was an indication growth was becoming unbalanced – relying more on debt. 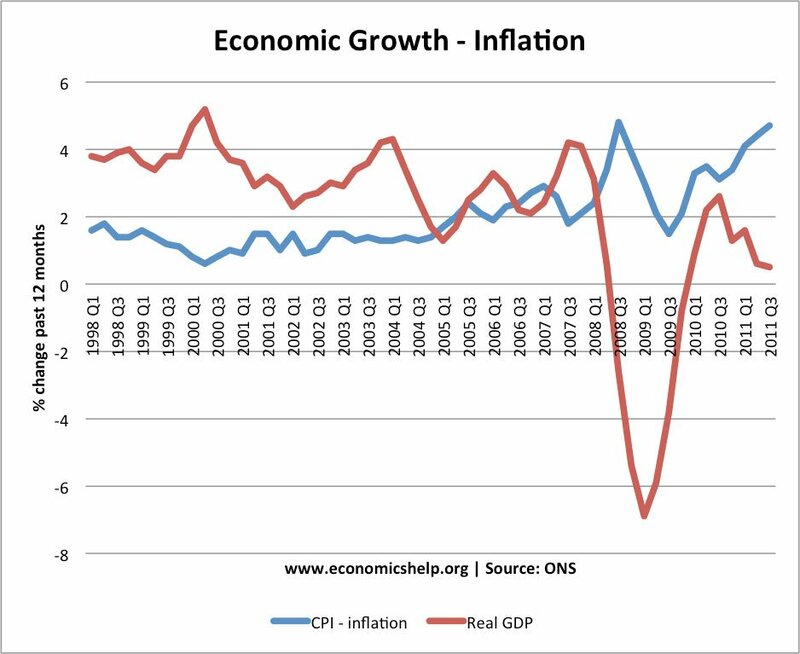 It was felt the UK had balanced growth between 1993 and 2007 – a long period of economic expansion and low inflation. However, the credit crunch of 2007, showed the growth wasn’t as balanced as previously thought. Despite low inflation, there was a boom in bank lending and growth of credit. There was also a boom in house prices which got reversed from 2007.